Offering more late-night and overnight stays in port, the award-winning Azamara Club Cruises announced the 2014 deployment of its twin boutique ships Azamara Journey and Azamara Quest. Up-market travelers can choose among 72 new voyages, ranging from four to 17 nights and visiting 240 fascinating destinations in 66 countries throughout Europe, the Far East, Central and South America, the Caribbean and the Western U.S. coast. The cruise line’s new 2014 program enables guests to experience the nightlife of compelling destinations around the world that larger ships cannot reach, and includes a record-45 maiden port calls, such as the UNESCO World Geopark Langkawi, Malaysia; Maura in the Sultanate of Brunei; and the charming island-village Vila do Abraao, a favorite Brazilian getaway. August departing Southampton, U.K., on August 20, which features two-night stays at Nantes (Loire Valley) and Bordeaux, France. Azamara Quest rendezvous in St. Tropez and Monte Carlo May 19 for the first time, guests aboard both ships can join in the excitement of the Monaco Grand Prix. 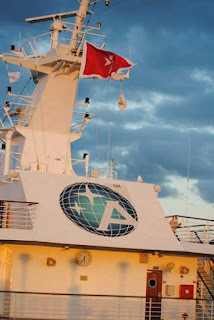 April sailing, departing April 11, offers guests an overnight at Civitavecchia, the gateway to Rome for an opportunity to attend Palm Sunday mass in the Vatican, and at Livorno for Easter Sunday in Florence. Sochi, Russia, site of the 2014 winter Olympic Games. Buenos Aires to Rio de Janeiro. in the New Year in Hong Kong. 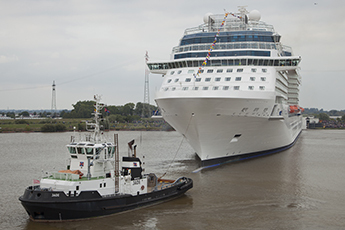 On September 16th, the last Celebrity Solstice-class ship left the Meyer Werft Shipyard in Pagenburg, Germany. Celebrity Reflection is on her way, down the River Ems (backward, mind you) and out to the North Sea. Her final destination for these sea trials is Emshaven, The Netherlands. This marks the completion of the construction period for Celebrity Reflection. After the completion of the sea trials, the ship will be formally turned over to the owner, Celebrity Cruises in the traditional christening ceremony. Celebrity Cruises is posting pictures of the ship and the sea trials on their Facebook page. We fell in love with the Solstice-class when we were on a pre-inaugural of Celebrity Solstice. The final ship in the series is now almost ready to be put into service complementing her sister-ships. TD 13-E formed Southwest of mainland Mexico Friday night and has grown into a tropical storm today. It is expected to continue increasing until becoming a hurricane. There are currently no coastal watches or warnings related to the storm. There are no cruises impacted at this time either. On behalf of the global cruise industry, Cruise Lines International Association (CLIA) and the European Cruise Council (ECC) announced that the cruise industry has adopted an additional safety policy. This policy, which exceeds current international regulatory requirements, addresses issues related to the loading of lifeboats by crewmembers for training purposes. 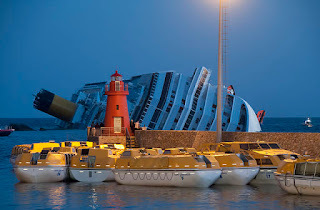 It is an outcome of the Cruise Industry Operational Safety Review, which was launched in January 2012 following the Costa Concordia accident. The new policy is for all oceangoing members of CLIA and ECC, and is effective immediately. Smaller ships with less than 300 crew members will conduct similar training as appropriate. There is a lot of tradition that is followed even today when a new ship is placed into service. One of the most important milestones is the christening, where the Godmother breaks a bottle of champagne against the hull of the ship. When Norwegian Breakaway is christened next May, she will have not one, not two, but several Godmothers. 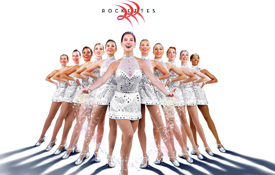 The world famous Rockettes, iconic dancers of New York, will do the honors. MSG Entertainment, owner of the Rockettes, announced Norwegian Cruise Line will be the official cruise line of the Rockettes and Radio City Music Hall and an official partner of the Radio City Christmas Spectacular. "I strongly believe that the Rockettes, one of the most beloved and recognizable New York icons, are the perfect choice to serve as the ship's godmothers," Kevin Sheehan, Norwegian's CEO, said in a prepared statement. Most ships have one Godmother, but some ships have had more than one. The Rockettes role won't end with the breaking of the bottle against the hull.Two dancers from the famed troupe will sail aboard each of the first six sailings of Norwegian Breakaway, and the first sailing of each month thereafter. While onboard, the two Rockettes will lead exclusive Rockette-themed fitness classes and will participate in photo ops, as well as meet and greets with passengers. The Rockettes also will be showcased via a historical retrospective in the ship's library. Norwegian Cruise Line is known for their entertainment, with acts like Second City, Blue Man Group and others gracing the stages onboard. The Rockettes is the perfect addition to the lineup for a ship that makes New York its home. Azamara Club Cruises announced that both of its ships will be undergoing some major changes late this year an early next year. The most noticeable change will be the switch from a white hull to dark blue hulls. According to Edie Bornstein, senior vice president of marketing and sales for Azamara, the new dark blue hulls will "better reflect the elegance onboard." Even before the refurbishment, intimate elegance is what you'll find aboard the Azamara Journey and Azamara Quest.. With slightly more than 690 guests you'll discover unparalleled service with one staff member to every two guests. Enjoy an evening cordial while listening to the dazzling finger work of the pianist at the Drawing Room, meet new found friends for a signature cocktail at the Discoveries Lounge, immerse yourself in the thalassotherapy pool and let the invigorating waters rejuvenate your being or enjoy breathtaking views of far away lands while feeding your hunger at the Windows Cafe. With impeccable service, scrumptious cuisine and longer stays at out of the way destinations - discover what it means to sail with Azamara Club Cruises. Those that travel frequently are aware that loyalty has its rewards. Many of you may have gotten to your destination without incurring airfare costs by turning in miles. The cruise industry also has loyalty programs and other incentives. 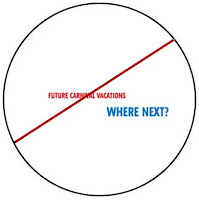 Until this announcement from Carnival Corporation, passengers on most Carnival Ships could stop at the Future Carnival Vacation Desk, fill out a form, pay a minimal deposit, and get a certificate to use on a future Carnival cruise. As a reward, you would earn an onboard credit when redeeming the certificate at a later date. The certificates had an expiration date, several years into the future, which would allow you ample time to decide on when and where you wanted to cruise. There was no need to determine that while on your current cruise. 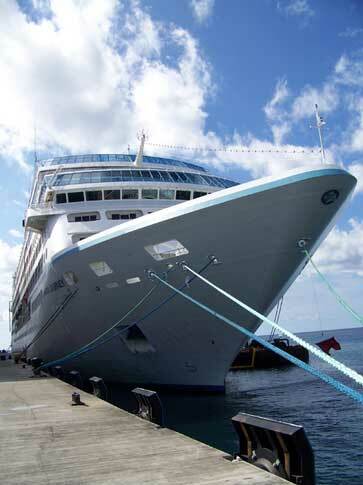 Effective with sailings on or after September 27, 2012, Carnival has discontinued the program. Certificates that are out in the field will be honored through the expiration date on the form. Guests can still book a confirmed booking while on most Carnival ships. 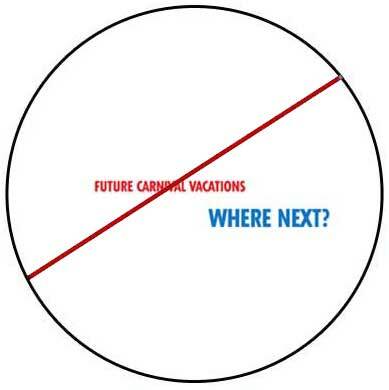 NOTE: There are no Future Carnival Vacations desks on Carnival Imagination, Carnival Inspiration, Carnival Sensation, Carnival Spirit and Carnival Victory. There has been quite a buzz in the online communities since Carnival made this announcement. The attractive benefit of the previous program was that you didn't have to decide destination or timeframe ahead of time. You just had to decide that you wanted to do another cruise in the future on Carnival, and when the time was right, call you agent to make a confirmed booking. The OBC can be combined with other offers, but in reality, there is little benefit to tying up your money in advance, and it could actually become a disadvantage if you were to find some different cruise that you'd rather take. Be sure to be familiar with all the restrictions before you decide to book under the new program. TD 12-E formed in the tropical Eastern Pacific Saturday morning and grew into Tropical Storm Lane. It is not a threat to land at this time. This is another storm that is south of Baja California and my grow into another hurricane. TUESDAY...AND FURTHER WEAKENING IS EXPECTED ON WEDNESDAY. The panel of experts, that were appointed by the Italian courts to review evidence in the events of the January 14th tragedy which took the lives of 32 people, have released their findings to the court. A 270 page document was filed with the court on Tuesday and published by Italian media on Thursday. As expected, the primary blame for the tragic accident falls on Captain Schettino, who has already been condemned in the media as "Captain Coward" and other names. He is charged with several counts including negligent homicide, causing a shipwreck, and abandoning ship before the complete evacuation of the 4,200 passengers and crew. He claims he was commanding the situation from the life boats and denies any wrongdoing. In the report, the panel also puts blame on the crew for "blunders, delays and security breaches that contributed to the disaster". Early reports from passengers had indicated that the crew was disorganized during the evacuation, which seems to validate the findings. Costa Crociere, a subsidiary of Carnival Corporation plc, is accused of "delaying the emergency alert sent to coastal authorities". In a statement, Costa placed the blame on Francesco Schettino, the ship’s captain: "It is also clear from the records that the communication made by the Master to the crisis department were on the whole not timely, partial and confused, not allowing it to scale a clear perception of the seriousness of what was actually happening." In response to allegations that the crew was inadequately trained, Costa said: “The alleged defects in the certifications of some of the crew concern only a few individuals who are not key to emergency management”. A court hearing is scheduled for October 15th to determine if the captain and any of the co-defendants should be put on trial. 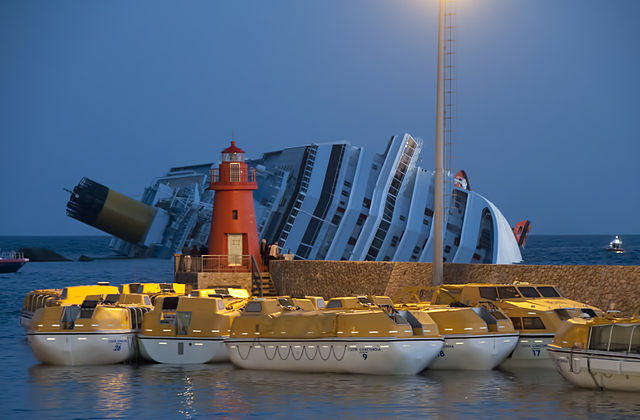 Salvage operations are underway to remove the ship from the coastline of Giglio, Italy. That operation, which began in June, will last about a year according to current estimates. Once again cruises to Egypt and Tunisia are being rerouted to avoid any potential security risks to passengers, ships, and crew. A wave of anti-American unrest swept through the Middle East on the 11th anniversary of the Sept. 11 terror attack. Uprisings in Egypt and Tunisia were sparked by the inflammatory anti-Muslim video, and there was further unrest Thursday outside the U.S. Embassy in Cairo, where protesters had scaled the walls Tuesday. The fatal attack on the U.S. Ambassador to Libya, Chris Stevens, and three other Americans has prompted the deployment of two warships to the area. Cruise lines are closely monitoring the situation and two changes have already been announced. We will update this article with additional details as they become available. Consult with the individual cruise lines if you are traveling to this region. Silversea has cancelled Silver Cloud's September 30 visit to Tunis, Tunisia, replacing it with a stop at Gozo Island in the Maltese archipelago. Oceania's Marina will no longer visit Alexandria on October 3 or Part Said on October 4. Instead the ship will add Antalya, Turkey and spend an extra day in Ashdod, Israel on October 4. Azamara Quest's scheduled stop in La Goulette (Carthage), Tunisia on October 31 wil be replaced with a full-day visit to Minorca in the Balearic Islands on November 1. Royal Caribbean International continues to closely monitor the situation in Egypt. At this time, Royal Caribbean has not changed the itinerary of any upcoming sailing that includes a port call to Egypt. We will continue to closely monitor the situation in Egypt and will contact guests or their travel agents should we make any modifications to upcoming itineraries. 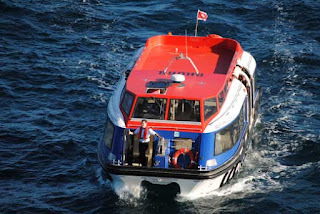 The safety and security, of our guests and crew members is always foremost in our minds. Royal Caribbean International is closely monitoring the protests currently taking place in Egypt. In an abundance of caution, we have decided to cancel Mariner of the Seas’ next port call to Egypt. Mariner of the Seas, which departs Rome (Civitavecchia), Italy, on Saturday, September 15, will no longer call on Alexandria, Egypt, on Tuesday, September 18. Instead, the ship will now call to Sicily (Messina), Italy, on Sunday, September 16, and Valletta, Malta, on Monday, September 17. We will continue to closely monitor the situation in Egypt and will contact guests or their travel agents should we make additional modifications to upcoming itineraries. Holland America's Ryndam, which was scheduled to dock September 14 in La Goulette (Carthage), Tunisia, will visit Sardinia, Italy, instead. Cunard's Queen Elizabeth will skip its scheduled September 15 call in Alexandria and replace it with a visit to Rhodes on September 16. 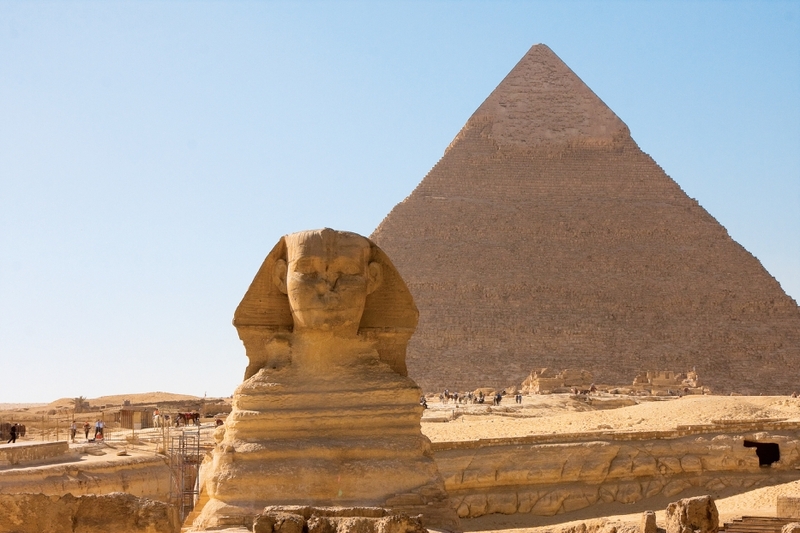 Celebrity Cruises continues to closely monitor the protests currently taking place in Egypt. At this time, Celebrity Cruises has not cancelled any port calls to Egypt. We will continue to closely monitor the changing situation in Egypt and will contact guests or their travel agents should we make any modifications to upcoming itineraries. Celebrity Cruises is closely monitoring the protests currently taking place in Egypt. At this time, Celebrity Cruises has not cancelled any port calls to Egypt. We will continue to closely monitor the changing situation in Egypt and will contact guests or their travel agents should we make any modifications to upcoming itineraries. U.S. State Department has not issued any Travel Warnings or Alerts, but the embassies in seven countries advised Americans to be vigilant. U.S. embassies in Armenia, Burundi, Kuwait, Sudan, Tunisia, Zambia and Egypt, posted the notices but don't report any specific threat. Tropical Storm Kristy is currently far south of Baja California and no immediate threat to land. Watches and warnings may be posted later in the week depending on the progress of the storm. TD-14 has become Tropical Storm Nadine. Nadine is lingering a long time in the Atlantic and has prompted tropical storm warnings for the Azores. Wind and rain were forecast for the Azores for the second time for this storm. The storm is the longest for the 2012 Atlantic Season and may be among the longest storms in history. WINDS DURING THE NEXT 12 HOURS OR SO. AZORES...BUT SHOULD GRADUALLY SUBSIDE LATER TODAY. AZORES THROUGH THURSDAY, OCT 4TH. MET OFFICE...UNDER WMO HEADER FQNT50 LFPW. By a joint resolution approved December 18, 2001 (Public Law 107-89), the Congress has designated September 11 of each year as “Patriot Day,” and by Public Law 111-13, approved April 21, 2009, the Congress has requested the observance of September 11 as an annually recognized “National Day of Service and Remembrance”. President Obama officially proclaimed September 11, 2012, as Patriot Day. See our article from last year, FDNY May We Never Forget, on the 10th anniversary, as we recalled our journey back to New York to visit the site of the World Trade Center attacks. Should your cruise vacation plans include New York, we recommend spending some time at the WTC Memorial and other historic sites in the city.